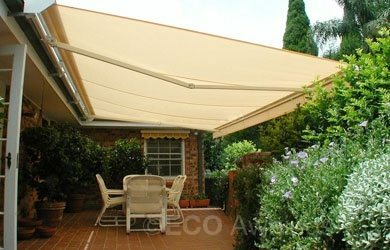 Enhance the vibe and function of your outdoor living space with folding arm awnings from Sydney Eco-Awnings. 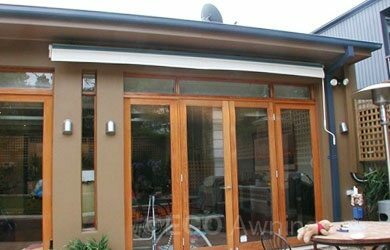 Our wide variety of attractive, long-lasting and cost-effective Sydney awnings gives you numerous options to choose from. So you can definitely find the folding arm awning that suits your home. Decide where you wish to mount your folding arm awning – on the wall, roof, fascia, or under an eve. Each motorised or manual awning varies in size, fabric and control type. 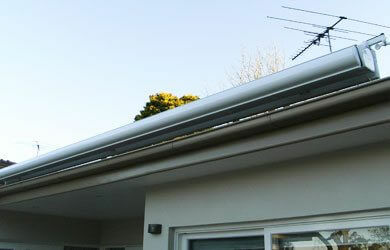 So if you first determine the measurements we can best fit your requirements for your folding arm awning in Sydney. Switch easily between winter heating and summer shading functions when you have a retractable awning installed. 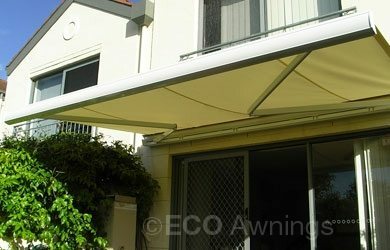 At Eco Awnings, we understand perfectly that an “all season” awning is a must in every modern Australian home. Click on each type of folding arm awning to discover our fabulously wide selection. Contact us today to request a quote for any of these designs or for a special, custom-made awning just the way you want it.